Years ago, a friend invited us to Passover seder, a cozy one hosted by friends of his. This was early in our marriage, before kids, and we squeezed into this small apartment with our friend and a half-dozen strangers. We passed plates and glasses of wine and lounged, ancient Israelite-style, around the table on cushions. The couple hosting led us through the Haggadah, and while the Hebrew was a mystery to me, lovely and impenetrable, the symbolism of each dish on the seder plate wasn’t: one by one, the readings illuminated them, showed us both how they remembered the Exodus and how they anticipated the Messiah who would come and fulfill each prophecy. And, they explained, he had come. He had fulfilled them all. I had one of those moments, in my corner around the table, as I dipped parsley in salted water and touched it to my tongue, when the window was open and the tree outside stirred in the darkness and I thought, The Jewish people have observed this for centuries, remembering the Exodus. They have waited this long for the Messiah. And I thought, too, The Last Supper looked like this. As we broke bread and served wine, communion changed irrevocably for me as I realized that Jesus wasn’t instituting something new as he passed the cup to his disciples, but fulfilling something ancient—a promise made centuries before. History became, in that moment, three-dimensional for me. 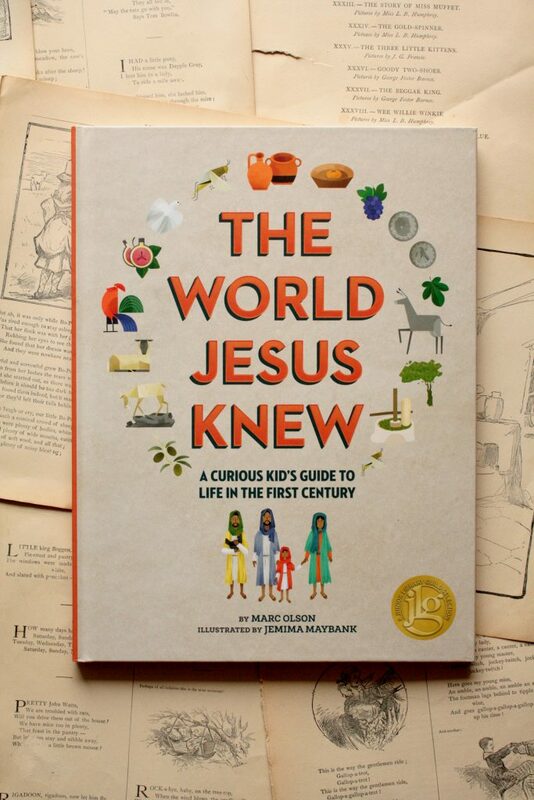 I saw Jesus in this new context and understood that everything he did and said, the stories he told, carried particular meaning to the shepherds, priests, and prostitutes around him—meaning that is occasionally lost on me, given my unfamiliarity with sheep, mustard seeds, and the grape harvest. And yet: those words still carry enough fire to spark transformation in the heart of a new wife standing in a stairwell, watching friends open the door for the coming Elijah and rejoicing that he has already come. This seems like a big lesson for kids to take in, but Marc Olson has written a book that takes some awfully long steps in that direction. 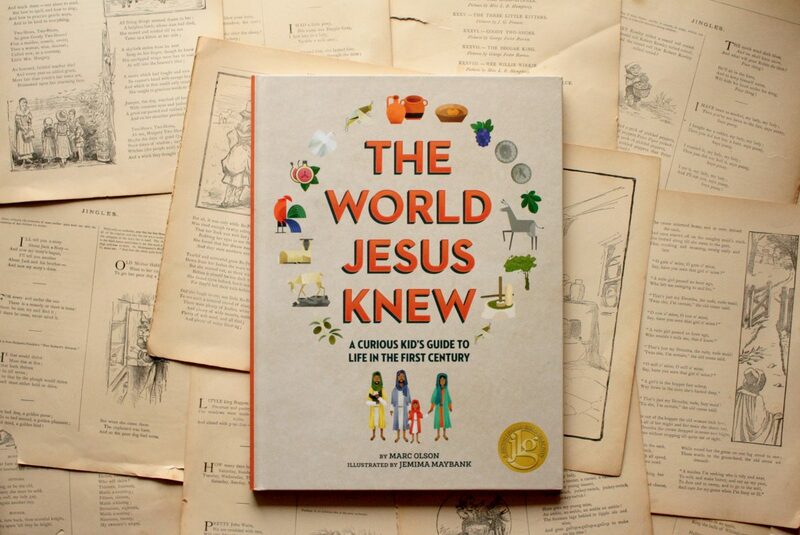 The World Jesus Knew is a picture book filled with details about first century Jerusalem—what the Israelites and Romans wore, what they ate, how they interacted. 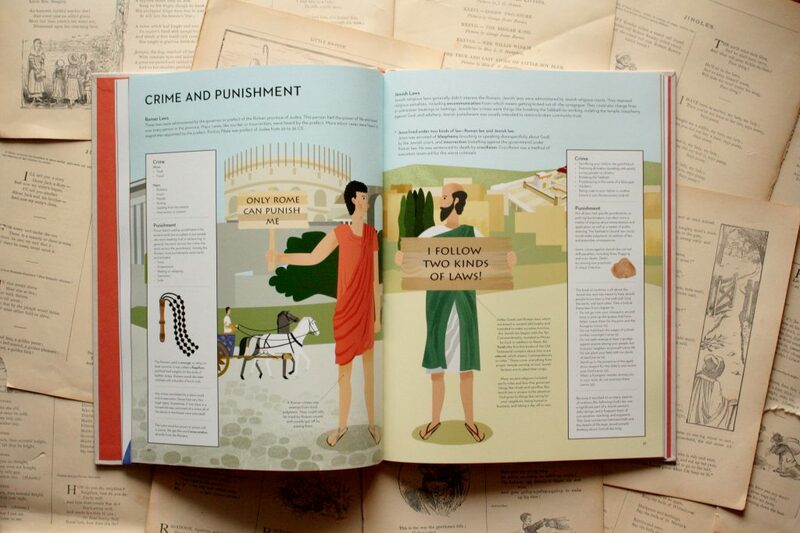 A book like this could be dry or overwhelming, but this one isn’t: Jem Maybank’s illustrations arrange that information well, making it easy to follow and fun to explore, and Marc Olson describes these things with energy and wit. I know I can’t fabricate those moments of realization for my kids, the ones that open history wide for them so they see that other people, other fascinating people, really lived in this world, though in very different ways than we do now. But I can do my best to give them opportunities to see it. Books like this help a great deal.